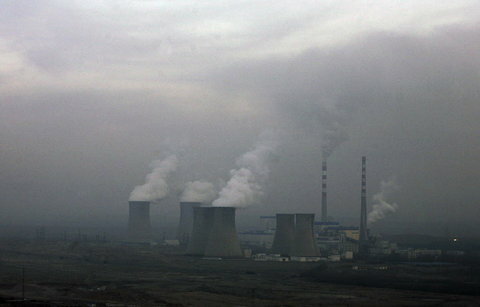 ReutersA coal-fired power plant on the outskirts of Wuhai in China’s Inner Mongolia region. A new report from the United Nations Development Program warns that if drastic measures are not taken to prepare nations for the impacts of climate change, the economic progress of the world’s developing countries could stall or even be reversed by 2050. Each region of the world faces unique challenges between now and 2050, the report warns, but most are linked to environmental complications arising from climate change. Sub-Saharan Africa could suffer the gravest inequities if the worst-case scenarios come to pass, it adds. Many Africans rely solely on natural resources for their livelihoods and lack a means of coping with environmental hazards like air and water pollution and poor sanitation, the report notes. Water and air pollution and extreme weather events like drought could be devastating for agriculture, with projections suggesting that maize and wheat production in southern Africa will fall sharply through 2030, the report said. Asia, the largest overall regional contributor to global greenhouse gas emissions in recent decades, is already feeling the effects of pollution, it said. Sulfur dioxide emissions from coal-fired power plants in China contribute to smog and acid rain that are already blamed for 300,000 deaths and 20 million cases of respiratory illness annually, it notes. And coastal Pacific nations are considered most vulnerable to a projected rise in sea levels associated with global warming, with more than 100 million people at risk, the study said. By 2050 Bangladesh is likely to lose about 11 percent of its land, which would affect an estimated 15 million people, for example. In Eastern Europe and Central Asia, environmental pressures like air pollution could chip away at hard-won economic progress. Armenia, Bulgaria, and Romania are the world’s leaders in deaths from outdoor air pollution. Tajikistan and Kyrgyzstan lead the region in deaths from indoor air pollution, the report said. Fossil fuels comprise 88 percent of the energy supply in Eastern Europe and Central Asia, while the region’s use of renewable energy is the lowest in the world. Coal is the leading fuel for electrical power even within Poland and the Czech Republic, nations bound by the European Union’s 2020 targets for diversifying energy sources and slashing emissions by 20 percent from 1990 levels. In Arab states, water problems affect more than 60 percent of the poor. The United Arab Emirates, Qatar, Bahrain and Saudi Arabia consume water at rates exceeding sustainable levels many times over. The Arab nations suffer from the greatest urban pollution and have the world’s highest dependency on fossil fuels, the study said. Qatar leads the world in per-capita carbon dioxide emissions, with its rate nine times the global average. Yet the report does offer a bit of good news. In Latin America and the Caribbean, public awareness on climate change is high: 95 percent of the people surveyed there say that global warming is a serious environmental threat, compared with an average of 68 percent worldwide. Alternative fuels already make up nearly one-third of the primary energy supply in Latin America, with Brazil leading as a world producer of sugar-derived ethanol. India, China, Bhutan and Vietnam are now increasing rather than decreasing the size of their forests, the report said, and deforestation rates in the Brazilian Amazon had dropped 70 percent as of 2009.
the United Nations Development Program proposes a number of ways in which developed nations can help developing ones, like imposing an international currency tax to bring electricity to the 1.5 billion people who currently live without it. Next June, a United Nations Conference on Sustainable Development will convene in Rio de Janeiro to explore ways of averting future environmental devastation and fixing the messes that exist now.